A fine place to stay at when one is in Mumbai. 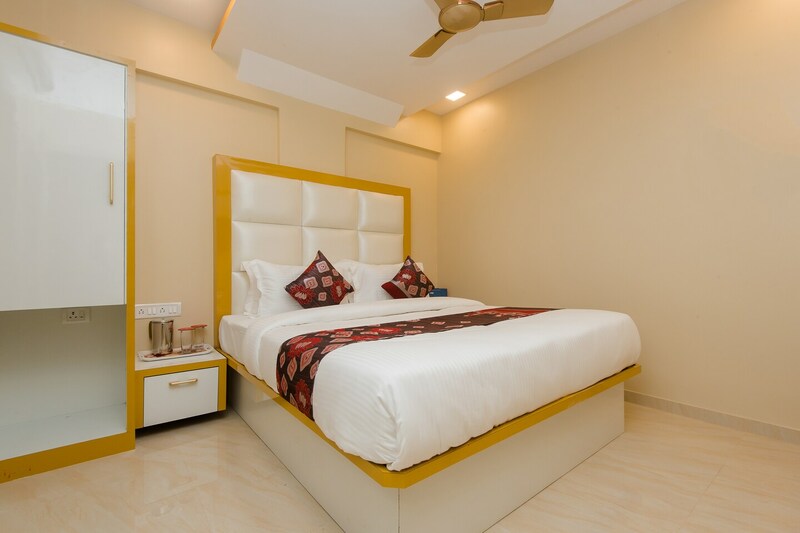 Gold Coast Inn is a simple hotel with a warm and inviting ambience. The bedrooms at the hotel have a simple and sober theme with light colored walls and wood furnishings. The overhead soft lights make the room feel cozy and comfortable. The furniture in the room is all edged with earthy colors making the space lively and charming. The cushioned headboard makes the stay comfortable for the guests. The hotel provides its guests with free Wi-Fi so that they can remain connected with the rest of the world. Other amenities offered by the hotel are CCTV cameras and laundry facility.